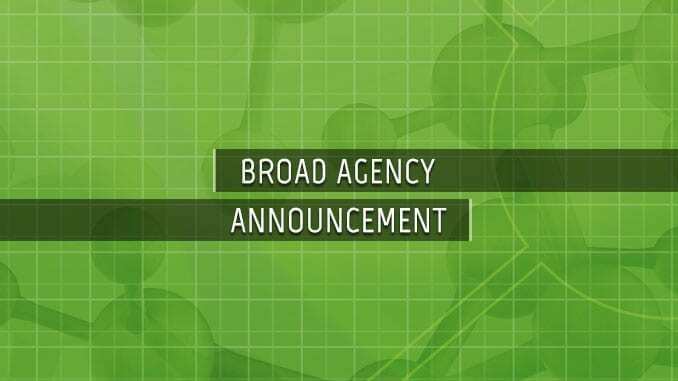 Department of Homeland Security (DHS) Science & Technology Directorate (S&T) is now accepting white papers under a new Long Range Broad Agency Announcement (LRBAA) for 2012. S&T seeks research and development projects for revolutionary, evolving, and maturing technologies that demonstrate the potential for significant improvement in homeland security missions and operations. Fully developed products are not normally considered under this LRBAA, unless the offeror is proposing a totally different application for the product or a modification is needed which requires substantial research. The Chemical and Biological Division of S&T (CBD S&T) performs analyses and countermeasures, including improved characterization and prioritization of threats, innovative or revolutionary methods for surveillance and detection for early attack warning that minimize exposure and speed treatment of victims, new forensic methods to support attribution, and novel concepts for decontamination and restoration, agro-defense, and food defense. This division does not fund research on human clinical applications. Rapid detection and identification of an agent immediately after its release into the environment. More topics of interest and full requirements of the LRBAA are available under DHSS-TLRBAA12-07. The announcement remains open until December 31, 2012.